Hear us out. Hypothetically, what if there were puppies that remained physically adorable fur balls, but matured so that you could have a little puppy who still looked all cute and cuddly (and even had puppy breath!) but who could also be housebroken and who wouldn’t chew up all your favorite shoes? It’s a million dollar idea, right? We think so, too! We bet there are days you feel that way about your little one. “He’s so cute—I wish he could just stay this age forever.” Alas, until our patent goes through, we may just have to combine the two cutest things in the world—puppies and babies—and hope for the best. This Infant Dalmatian Costume won’t stop time from passing, but it can offer you a plethora of opportunities for adorable photo ops that can capture and freeze an instant. 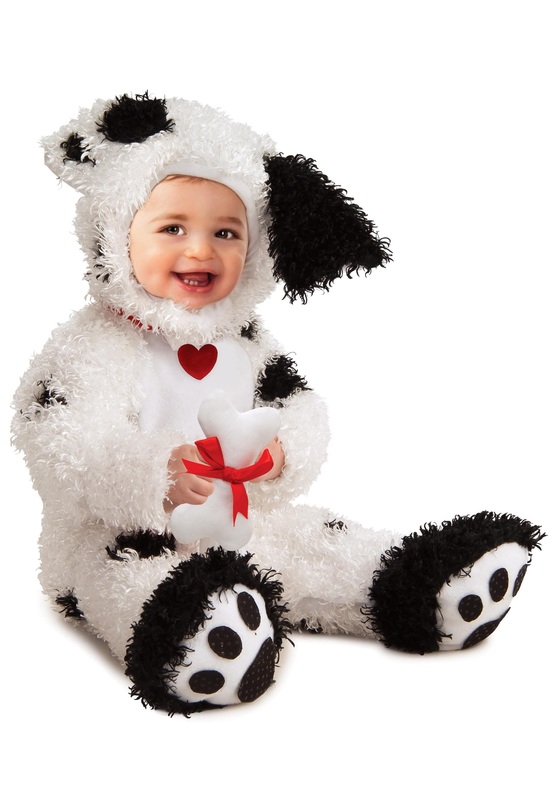 Just imagine your little one romping around your neighborhood in this fuzzy suit, trying to catch up to the bigger “dogs.” You’re already reaching for your camera, aren’t you? That’s because you can visualize his little movements as he tries to wag the detachable button tail; you can picture the ears of this matching hood flopping as he wobbles toward you with his doggie bag full of candy. You can even up the cute factor by grabbing a group of friends and dressing up all the kiddos in this getup—what a sweet litter! Get yourself a Cruella de Ville costume for a nod to the classic film, or just let the little ones run wild and create your own live action Puppy Bowl. Either way, this is bound to be a Halloween you’ll never want him to grow out of! Now if we could only find a solution to our eternal puppy problem.